[Tinkle Position] Onii-chan, Asa Made Zutto Gyu tte Shite! 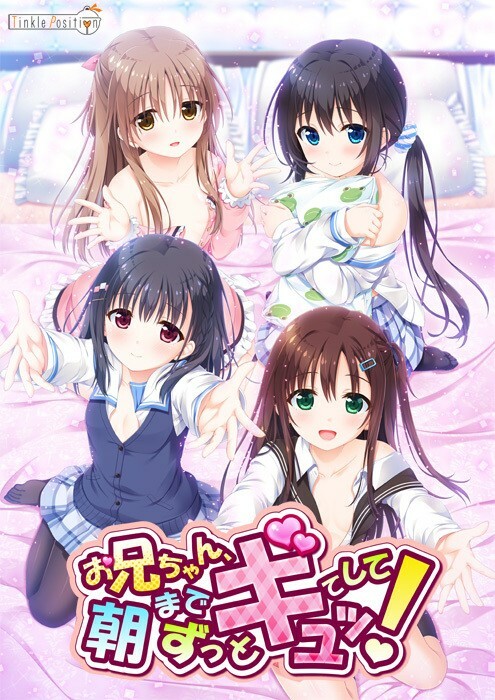 Home Visual Novel [Tinkle Position] Onii-chan, Asa Made Zutto Gyu tte Shite! The older brother of four younger sisters – the protagonist – suffered from severe asthma when he was younger. Due to this, they started the routine of one of the sisters sleeping with him for one day, and then switching to another. I hope I won’t get caught by the police. Thank you very much for uploading this, my body is honest.